"Break the Fast" at Restaurant Michael September 28. Winnetka’s own Restaurant Michael (64 Green Bay Rd. ; 847-441-3100) has just announced that it is hosting a “Break the Fast” dinner for the first time ever on Monday, September 28 starting just after sundown. Guests enjoy a three-course prix five menu for just $39/person. The meal begins with a tradition of Yiddish Honey and Nut Cake paired with a sweet red wine and Restaurant Michael’s own Warm Apple Profiterole. Guests continue with a choice of appetizer, entrée and dessert. Appetizer selections include a Duo of House Cured and Smoked Salmon and Sturgeon with a Warm Potato Pancake and Whipped Chive Cream Cheese; Exotic Mushroom Tart with Baby Greens Dressed with Roquefort Cheese; or Duck Confit and Foie Gras Strudel with Candied Huckleberries. Entree selections include Classic Steak au Poivre with a Creamy Mashed Potato Gratin and Baby French Beans; Potato Crusted White Fish Tail over Sauteed Spinach with Capers, Lemon and Fried Parsley Leaves; or Roast Stuffed Breast of Hen with Goat Cheese, Apricot and Rosemary Bread Pudding, Natural Jus and Confit Cabbage. For dessert, choose from Individual, Warm Upside Down Apple Tart with Cinnamon, Nutmeg Gelato and Caramel Sauce; or a Selection of Warm Cookies, Baked to Order with Ice Cold Chocolate Milk. Reservations are being accepted now until 11 p.m. that night for the special "Break the Fast" menu. For other upcoming events and specials at Restaurant Michael, press here. Restaurant Michael is located at 64 Green Bay Rd. in Winnetka, Ill. serving classic haute cuisine in a contemporary presentation with French country flair. The restaurant is open for dinner Monday through Thursday 5:30 p.m. -10:30 p.m.; Friday and Saturday 5:30 p.m. -11:30 p.m.; and Sunday 4:30 p.m.-9 p.m. The restaurant is open for lunch Fridays 11a.m. -2 p.m. Complimentary parking is available. Major cards accepted. Agriculture Secretary Tom Vilsack announced 86 grants under the Farmers Market Promotion program, yesterday. Chicago's Green City Market was a big winner, receiving a $76,300 grant. In total, an $4.5 million in funding was awarded to 86 groups as part of the U.S. Department of Agriculture's 'Know Your Farmer, Know Your Food' initiative. 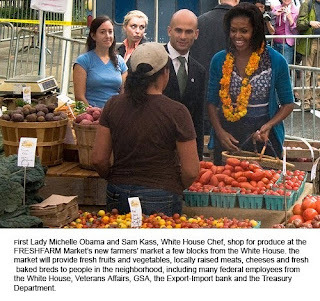 Agriculture Secretary Vilsack announced the awardees of the 2009 Farmers Market Promotion Program (FMPP) at the opening of the FRESHFARM Market by the White House on Vermont Avenue with First Lady Michelle Obama. Deputy Secretary Merrigan, who chairs USDA's 'Know Your Farmer, Know Your Food' initiative, was also in attendance at the event. Grants were awarded to encourage and support the viability of farmers markets and direct marketing projects nationwide. 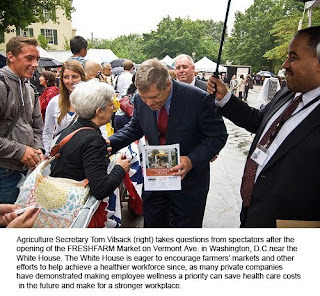 "Farmers markets have an important role in local and regional food systems by helping consumers have access to healthy, nutritious foods," said Vilsack. "These grants will help continue the recent expansion of farmers markets across the country to increase access to locally grown foods for consumers, and increase incomes for farmers." Vilsack emphasized that low-income consumers will particularly benefit through the program's emphasis on increasing access to fresh fruits and vegetables through the use of electronic benefit transfers (EBT). This year, USDA exceeded its mandate to fund at least 10 percent of the total FMPP grant funds for new EBT projects at farmers markets. Thirty of the 86 grants promote the use of new EBT projects, and funding directed towards new EBT amounts to a little more than 18 percent of the total being announced today. These projects will help increase access to locally grown fresh fruits and vegetables by low-income consumers using funds provided by the Supplemental Nutrition Assistance Program (SNAP). Through FMPP, USDA is committed to promoting local and regional food systems that help to boost local economics, eliminate child hunger, and increase access to fresh produce in low-income neighborhoods, thereby improving community health and nutrition. Funds will be used to establish, expand and promote farmers markets and other direct producer-to-consumer marketing opportunities by eligible entities in 37 states. This announcement is just one component of USDA's 'Know Your Farmer, Know Your Food' initiative to help develop local and regional food systems and spur economic opportunity. By successfully restoring the link between consumers and local producers there can be new income opportunities for farmers and generate wealth that will stay in rural communities; a greater focus on sustainable agricultural practices; and families can better access healthy, fresh, locally grown food. A national directory of farmers markets is available at www.ams.usda.gov/farmersmarkets. Note to Got Buzz readers: Kurman Communications president Cindy Kurman is a member of the Green City Market and has been on its board for 11 years. After 5 p.m. next Friday, Sept. 25 only, pan-Asian restaurant Karma (510 E. Route 83, Mundelein; 847-970-6900) offers guests a complimentary one-night stay in December at the Crowne Plaza Chicago North Shore, when they spend $50 at the restaurant and present this coupon. The complimentary night can be redeemed at the Crowne Plaza Chicago North Shore, adjacent to Karma, any night that month, including holidays. December is a month of holidays and festivities, and with budgets a little tighter this year a complimentary evening might be the perfect way to celebrate, hold a meeting or just have some fun. Dinner reservations are required at Karma, and can be made by calling (847) 970-6900. Don't forget to bring the coupon with you! Stop by Glen Prairie (1250 Roosevelt Rd., Glen Ellyn, Ill.) for farm-fresh weekend specials, crafted by Executive Chef Daniel Ovanin, Featuring fresh produce from Graue Mill in Oak Brook, Ill. and Wolf Farms in Eau Claire, Mich. Begin with the Glen Prairie Panzanella Salad with bacon fried sourdough, heirloom tomatoes, fresh mozzarella, crispy prociutto, baby greens and a balsamic glaze ($8). 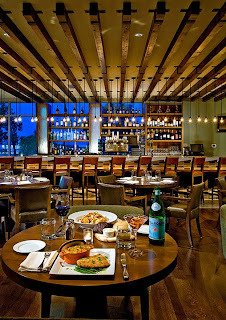 For an entree try the Pan Seared Sea Scallops, Graue Mill Polenta Cake, melted leeks, sauteed green beans and roasted red pepper coulis ($24); or try the Grilled Center Cut Pork Chop with roasted beet risotto, baby carrots and natural jus ($20). These specials are in addition to Glen Prairie's regular menu and are only offered after 5 p.m. today, Sept. 18 and tomorrow, Sept. 19. Reservations are recommended and can be made by calling Glen Prairie at (630) 613-1250. Don't miss A Silver Lining Foundation founder, Dr. Sandy Goldberg, discuss "Making Sense out of Health Headlines," from 10:45 a.m. to noon on Monday, Oct. 5, at The Leadership Development Conference hosted by the AMA Alliance at the Chicago Marriott Downtown (201 E. Walton Pl.). Goldberg, the Chicago NBC 5 nutrition expert, will be joined by Dr. Sandra Adamson Fryhofer. Together they will raise and answer questions about healthy nutrition. From cereal boxes claiming "heart healthy" and crackers being the "smart choice," what is true and what really matters will be explained by these experts in the field of health and nutrition. This session is one of many during the two-and-a-half day networking and team-building opportunity designed to boost support of health advocacy initiatives, health promotion and fundraising for medicine's future. The AMA Alliance is the volunteer arm of the American Medical Association and is committed to public health promotion. AMA Alliance strives to promote healthy lifestyles and increase awareness of available health care resources. For more information or to register, visit www.amaalliance.org. A Silver Lining Foundation (ASLF) provides cancer resource information, treatment options, quality of life services and no-cost mammograms to uninsured and underinsured individuals in the Chicago area. For more information on ASLF visit www.asilverliningfoundation.org. 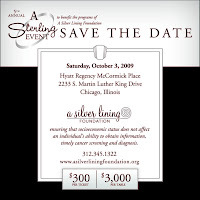 Get ready for a fun-filled evening in support of A Silver Lining Foundation (ASLF) when it hosts its fifth annual gala, A Sterling Event, kicking off with cocktails at 6:30 p.m., followed by dinner at 7:30 p.m., Saturday, October 3 at the Hyatt Regency McCormick Place (2233 S. Martin L. King Dr.). A Sterling Event will also honor Jewel-Osco President Keith Nielsen who will receive the Evy Award, given to an individual who perpetuates the legacy of Goldberg's mother, Evelyn "Evy" Goldberg. 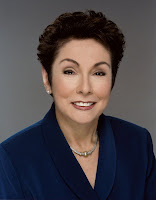 At the black tie event, attendees will experience the sounds of famed cabaret singer Nan Mason, an eye-popping live auction and unique silent auction. In addition to the auctions, the evening will feature dinner and dancing to the music of Rhythm City. 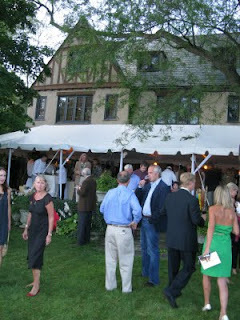 Tickets are available for purchase at www.asilverliningfoundation.org for $300 per person, or $3,000 per table. River North, one of Chicago's most vibrant neighborhoods, is chock full of the hottest dining spots. 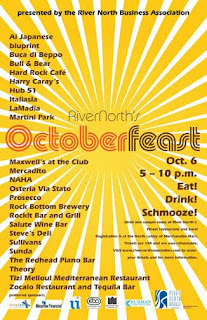 Sample several in one night during first annual OctoberFeast, 5 p.m. to 10 p.m., Tuesday, October 6, hosted by the River North Business Association (RNBA). Sample the signature food and drinks of participating River North restaurants, bar and entertainment venues during the progressive stroll. Participants include Ai Japanese, bluprint, Buca di Beppo, Bull & Bear, Hard Rock Cafe, Harry Caray's, Hub 51, Italiasia - The Best of Both Worlds, La Madia, Martini Park, Maxwell's at the Club, Mercadito, NAHA, Osteria via Stato, Prosecco, Rock Bottom Brewery, Rockit Bar and Grill, Salute Wine Bar, Steve’s Deli, Sullivans Steakhouse, Sunda, The Redhead Piano Bar, Theory, Tizi Melloul Mediterranean Restaurant and Lounge, and Zocalo Restaurant and Tequila Bar. There will be 25 venues and eight routes in all. Ticketholders will have 45 minutes at each of five venues in their route before moving on to their next stop. The last stop is at Martini Park, for the official OctoberFeast afterparty, included in the price of admission. OctoberFeast tickets cost $50 per person. Tickets are available online at http://www.rivernorthassociation.com/or by calling the River North Business Association at 312-645-1047. OctoberFeast sponsors include Urban Innovations, Harris Bank, Merchandise Mart Properties, Inc., Mesirow Financial, East Bank Club, StratEx Partners and Kurman Communications. Now is the time to experience Pappadeaux Seafood Kitchen’s delicious, fresh seafood at a reasonable price. Pappadeaux offers seven lunch menu items for less than $10. Try the Louisiana Gumbo & Garden Salad, a choice of a steaming bowl of gumbo or crawfish bisque and fresh garden salad ($7.95); Pappadeaux Steak Sandwich; grilled steak served on French bread bun with horseradish mayonnaise, grilled onions, tomato and arugula, served with hand cut French fries ($9.95); Louisiana Gumbo & PoBoy, choice of half blackened catfish, fried shrimp or fried oyster poboy and a cup of gumbo or crawfish bisque ($8.95); PoBoys, choice of catfish, oyster, shrimp or shrimp and oyster on a freshly baked hoagie bun with coleslaw in a creamy rémoulade dressing, served with French fries ($9.95); Fried Shrimp, served with French fries ($9.95); Pan Grilled Tilapia, topped with toasted hazelnuts and brown butter, served with green beans and potatoes ($9.95); or Chicken Linguine Picayune; grilled chicken breast, mushrooms, spinach, broccoli, garlic and extra virgin olive oil served over a bed of linguine ($9.95). After-work specials at Pappadeaux feature more than 10 appetizers for less than $5 with a $2.50 minimum beverage purchase per person in the bar area. From 3-7 p.m. Monday through Friday, snack on Green Bean Frit, with lemon aioli ($1.95); Beer Battered Pickles, with ranch dressing ($1.95); Catfish Beignets, with shoestring potatoes ($2.95); Crispy Orange Shrimp, tempura fried shrimp with a sweet and spicy sauce ($2.95); Blackened Boudin, with grilled toast points ($2.95); Petite PoBoy, choice of blackened catfish, fried shrimp or oyster ($3.95); King Crab Maki Roll, Alaskan king crab with cilantro, lime juice and a sweet and tangy teriyaki sauce ($4.95); Tandoori Seared Salmon Sticks, with a pineapple glaze ($4.95); Mini Fondeaux, with blackened shrimp and crawfish with garlic bread ($4.95); and the Chef Selection Oysters, on the half shell-half dozen ($5.95/dozen; $3.95/half-dozen). Pappadeaux Seafood Kitchen is located in Chicago’s western suburbs (921 Pasquinelli Dr., Westmont, Ill.; 630-455-9846) and northwest suburbs (798 W. Algonquin Rd., Arlington Heights, Ill.; 847-228-9551). Pappadeaux’s Arlington Heights location is open for lunch 11 a.m. to 3 p.m. Monday through Sunday. For dinner, Pappadeaux is open 3 p.m. to 10 p.m. Monday through Thursday; 3 p.m. to 11 p.m. Friday and Saturday, and 3 p.m. to 9 p.m. Sunday. Pappadeaux in Arlington Heights serves brunch from 10 a.m. until 3 p.m. every Sunday. Pappadeaux’s Westmont location is open for lunch 11 a.m. to 3 p.m. Monday through Sunday. For dinner, Pappadeaux is open 3 p.m. to 10 p.m. Sunday through Thursday, and 3 p.m. to 11 p.m. Friday and Saturday. For more information or to join Pappadeaux’s e-mail club, visit http://www.pappadeaux.com/. Join BARQUE, the hot new Chicago-based canine couture collection creating high fashion styles that will make pooches bark for more, for “Puttin’ on The Dog,” a trunk show featuring an array of doggy designs noon until 5 p.m. Saturday, September 26 at Neiman Marcus (737 N. Michigan Ave., Chicago; 312-642-5900). The event will showcase stylish coats and raincoats, as well as the one-of-a-kind, han d-knit BARQUE sweaters and puppy blankets, just in time for the cooler fall temperatures. RSVP for the event by e-mailing gay@barque.biz or by calling (312) 266-6683. Attendees are encouraged to bring their pups, and can enter a drawing to win a free BARQUE fashion. For more information, visit http://www.barque.biz/. 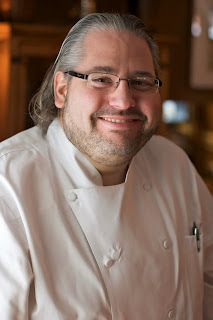 Chef Michael Lachowicz’s North Shore standout, Restaurant Michael (64 Green Bay Rd., 847-441-3100) announces a new three-course “Café Favorites” menu, as well as a partnership with the Writers’ Theatre (376 Park Ave., Glencoe; 847-242-6000) for its 2009-2010 season. The new “Café Favorites” menu, which launched Tuesday, August 17, is a three-course café bistro style menu offering patrons a choice from three appetizer selections, three entrée selections and two dessert selections for $34 per person. For an additional $14, guests can add wine paired with the appetizer and entrée courses. The items available on the Café Favorites menu will change every Tuesday. Sample dishes from the Café Favorites menu include Summer Corn and Tarragon Blinis with shaved fennel, sautéed shrimp and chervil salad; Exotic Mushroom Tart over baby mixed field greens dressed with Roquefort cream and toasted hazelnuts; Classic Steak Frîtes with baby French green beans; Roast Filet of Wild Alaskan Salmon “Marchand de Vin” with red chard and potato gratin; Baked Breast of Free Range Chicken “Dijon” with roast potatoes and carrots; and Peach Filled Crepes with cinnamon whipped cream and toasted chopped pecans. Performances at Writers’ Theatre are shown at 325 Tudor Ct. (847) 242-9730 or 664 Vernon Ave. (847) 242-9418, both in Glencoe, Ill. For more information about this season’s performances, call the box office at (847) 242-6000 or visit www.writerstheatre.org. Restaurant Michael, located at 64 Green Bay Rd. in Winnetka, Ill. 60093, serves classic and modern French cuisine in a contemporary presentation with French country flair. The restaurant is open for dinner Monday through Thursday, 5:30 p.m.- 10:30 p.m.; Friday and Saturday, 5:30 p.m.- 11:30 p.m.; and Sunday, 4:30 p.m.- 9 p.m. The restaurant is open for lunch Fridays, 11 a.m.- 2 p.m. Complimentary parking is available. All major cards are accepted. 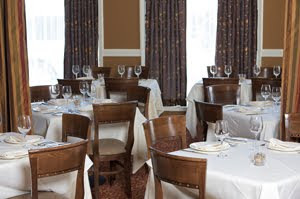 For more information, or to make a reservation, call (847) 441-3100 or visit www.restaurantmichael.com. Kick off National Waffle Week with Birch River Grill’s special, the award-winning Wild Game Chili served over a cornmeal Belgium Waffle ($9), offered September 6 – 12 at the rustic American kitchen. Celebrate National Chicken Month during the month of September, when Birch River Grill offers its Fried Chicken on a Sweet Potato Waffle ($13). Don’t forget about Birch River Grill’s recently-launched BRG Bites, eight sandwiches packed with gourmet ingredients. Choose one sandwich for $3, two sandwiches for $6 or three sandwiches for $9. Chicken-focused selections include: Mediterranean Chicken, feta cheese, spinach, kalamata olive tapenade, basil pesto mayo; Cordon Bleu, sliced ham, chicken breast, Swiss cheese; and Buffalo Chicken, bleu cheese, crispy chicken and buffalo sauce. All Bites are served with French fries or sweet potato fries. Join Birch River Grill for farm-fresh specials crafted by executive chef John Ayaleanos, celebrating the ripe, fresh local tomatoes from Harvest Moon Organic Farms on the south fork of the Bad Axe River in Viroqua, Wisc. 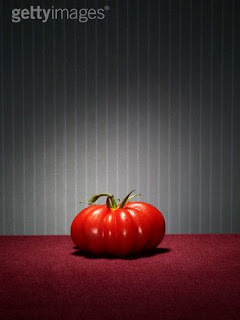 These tomato specials are offered in addition to the restaurant’s regular menu September 1 – 7. For appetizer, try Fried Green Tomatoes, organic arugula, green pepper, cucumber relish, chipotle remoulade and fresh salsa for dipping ($8). The salad includes Heirloom Tomato Stack, west central Wisconsin Mindoro bleu cheese, red wine vinegar and extra virgin olive oil ($10). The main course features Grilled White Marble Farm Pork Chop, Wisconsin white cheddar cheese grits, black brandy wine pico de gallo and green zebra tomato salsa ($24). Tomato Harvest continues the following week, with new tomato specials offered in addition to the regular menu September 8 – 14. For the soup, savor the Chilled Yellow Gazpacho Soup with cilantro oil ($6). Next, try the appetizer, Stuffed Heriloom Tomato, stuffed with vegetable cous cous and heirloom tomato coulis ($8). The main course is Grilled Certified Angus Beef Filet of Ribeye, roasted Yukon Gold potatoes, heirloom bullet tomatoes, arugula slaw and tamarind scented balsamic glaze ($24). Birch River Grill serves rustic American gourmet comfort food. Hours for the restaurant are 6 a.m. to 10 p.m. Monday through Thursday, 6 a.m. to 11 p.m. Friday, 7 a.m. to 11 p.m. Saturday, and 7 a.m. to 10 p.m. Sunday. The lounge stays open one hour later. All major credit cards are accepted. Complimentary parking is available. For reservations or more information, please contact Birch River Grill at (847) 427-4242 or visit http://www.birchrivergrill.com/. Try Dine’s new and exciting menu selections, available throughout the month of September, with chef William Delby’s new signature dishes, including Thai Beef Salad, a tantalizing mix of fresh green, baby corn, red peppers, snow peas, sprouts and carrots, tossed in a refreshing lemon grass dressing ($9) and The Metro, hearty rye bread smother with creamy chopped liver, crisp lettuce and zesty Russian dressing. For dinner, try the Midwestern Pan Seared Walleye, fresh walleye fillets seared with a Vermouth butter sauce, partnered with parsnip puree and wilted Swiss chard ($19); Jamaican Rum Pork Tenderloin, seasoned with Jamaican rum rub, signature red beans and rice, and crispy fried plantains ($17); and Shrimp Diablo, mouth watering rock shrimp sautéed with olive oil, fresh garlic, plum tomatoes, fresh basil and spicy red pepper flakes served over a bed of angel hair pasta ($18). The fall specials also include the delectable dessert, Burkes’ Signature Lost Bread, brioche dipped in custard, fresh berry compote, vanilla crème and banana brulee ($7). Dine, the west loop’s 1940's inspired retro supper club and martini bar, serves American classics revived with a contemporary flair. Dine is open Sunday through Thursday, 6 a.m. to 10 p.m., and Friday and Saturday, 6 a.m. to 11 p.m. The martini lounge hours are noon to 11 p.m. Sunday through Thursday, and noon to midnight Friday and Saturday. For more information, call (312) 602-2100 or visit http://www.dinerestaurant.com/. For the month of September, Glen Prairie celebrates local, organic food with its September prix fixe menu, a three course meal for just $20 available after 5 p.m. daily for the entire month. The meal begins with the appetizer, Farmers Salad, baby greens, grilled sweet corn, green onions, fresh tomatoes, cucumber and Champagne-cider vinaigrette. Enjoy one of two entrée options, either the Signature Meatloaf, whipped potatoes, carrots, green beans and mushroom gravy, or Spiced Grilled Missouri Catfish, sweet peas, roasted fingerling potatoes and sauce remoulade. For dessert, refresh with a Choice of Daily Sorbets. 6 a.m. to 11 p.m. Friday, 7 a.m. to 11 p.m. Saturday, and 7 a.m. to 10 p.m. Sunday. The lounge remains open one hour later than the restaurant each day. For more details, contact the restaurant at (630) 613-1250 or http://www.glenprairie.com. Throughout the month of September, enjoy daily drink and dining deals, along with chef demonstrations. Karma is a sophisticated restaurant with a zen-laced atmosphere that serves Pan-Asian cuisine. Dinner hours for Karma are 5 p.m. to 10 p.m. Sunday through Thursday, and 5 p.m. to 11 p.m. Friday and Saturday. The lounge stays open one extra hour each night. Karma is located adjacent to the Crowne Plaza Chicago North Shore at 510 East Route 83, Mundelein, Ill. 60060. 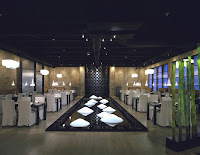 For reservations, call Karma at (847) 970-6900 or visit http://www.karmachicago.com/. Trattoria Isabella is open for lunch and dinner from 11 a.m. to 10 p.m. Monday through Friday; for dinner from 4 p.m. to 11 p.m. Saturday; and 4 p.m. to 10 p.m. Sunday. Complimentary Parking is available in the lot at Fulton and Jefferson after 5 p.m. weekdays and all day on weekends. For reservations at Trattoria Isabella or for more information, please call (312) 207-1900 or visit http://www.trattoriaisabellachicago.com. Why walk when you can crawl? Schmooze and Booze at the 1st annual networking pub crawl pub crawl for professionals in the events industry -hosted by McGowan Durpetti & Associates and SYN Vodka- on Friday, Sept. 11, 2009 from 6 p.m. to 10:30 p.m. All proceeds from this networking event will go to Sarah's Inn: Freedom from Domestic Violence (www.sarahsinn.org). The $30 wrist band donation will include the first round of drinks at Wellington's, Hi-Tops and John Barleycorn, as well as appetizers at Wellington's and pizza at Wise Fools Pub. All drinks will be $4 or under with drink specials at each participating bar. The format is all about having fun while getting to nkow others in the events industry. RSVP to Haley Lertola at haley@mcgowandurpetti.com or (312)994-2620. It isn't too late to pledge to become a Locavore! Join Green City Market and other Chicagoans by committing to eating locally grown and produced foods for two weeks! The challenge starts tomorrow. Make a conscious effort to buy food from Illinois, bordering states and Michigan. Come to Green City Market's Town Hall meeting on Sept. 23 and enjoy local, prepared foods, share recipes with other Locavores and have your questions answered by the experts. Sign up at the market and pick up your Locavore kit, or download our pledge form and fax it to 773-880-1262. 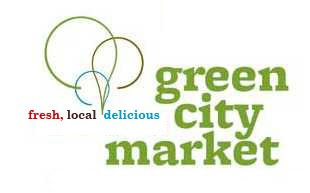 More about Green City Market... If you haven't had the opportunity to attend their annual Harvest Celebration, mark your calendar for September 13 and order your tickets now! This annual event is the swankiest of them all. 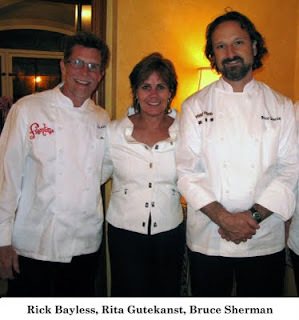 The fabulous setting at the beautiful country estate and gardens of Bill Kurtis and Donna La Pietra in Mettawa, IL is only matched by the outstanding food and drink offerings by Chicago's top chefs and mixologists. What you can expect? Chefs cooking flavorful local foods, the gardens, potager, tree house, the fire pit and the pond -- a true country feast showcasing the freshest, best tasting Green City Market products. 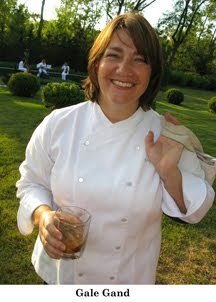 It brings together camaraderie of the most passionate food environmentalists. Chef participants include: Rick Bayless of Frontera Grill/Topolobampo, author/chef Gale Gand of Tru, Mark Mendez of Carnivale, Carrie Nahabedian of NAHA, Bruce Sherman of North Pond, Rita Gutekanst & Marguerite Lytle of Limelight, Sarah Stegner and George Bumbaris of Prairie Grass Cafe, Paul Virant of Vie and Randy Zweiban of Province. An array of exciting one-of-a kind culinary auction packages will be offered, all in support of the Market. This year's packages include: A weekend getaway to Kentucky featuring a farm tour and dinner at Capriole Farm, A Farm dinner at Heritage Prarie in Geneva, Il - spend the weekend in their beautiful farmhouse and invite eight of your friends for a chef prepared dinner or brunch, a VIP Table at the Green City Market Chef BBQ in Lincoln Park (pre reception for you and your guests with celebrity chefs preparing hors d'oeuvres and cocktails), exclusive chef inspired events, cooking classes and more! Heirloom Benefactor level - two (2) tickets at $2,500. This is a tax-deductible contribution to Green City Market, a 501(c)3 not for profit organization, less $100 (cost of the dinner), per ticket. For more information, please call 773-880-1266 or visit here to reserve your tickets. Capacity is very limited for this special event. Reservation deadline is Friday, September 11th, 2009 or while tickets last. Celebrate the beginning of fall and go easy on the wallet with chef Robert Packer's unbeatable $20 prix fixe menu from Karma (510 E. Route 83, Mundelein), offered in addition to the pan-Asian restaurant's regular menu. The three-course menu begins Sunday, September 6 and runs through Friday, September 11. Begin with a starter, choosing from either the Miso Soup, tofu, sauteed shiitake mushrooms, scallions and roasted nori, or Karma House Salad, crisp lettuce, napa cabbage, cucumber, daikon and carrot ginger dressing. Entree selections include a choice of either: Orange Peel Tempura Chicken, tempura fried chicken, sesame jasmine rice, ginger chilli cucumber salad and yuzu orange glaze; Thai Chili Beef, stir fried spiced beef tenderloin with Chinese noodles and baby bok choy, in mirin-miso beef broth (may be substituted for shrimp or chicken); or Yellow Mango Vegetable Curry, spring vegetables tossed with coconut yellow curry, jasmine rice and kimchi. Indulge the sweet tooth for dessert, with a Daily Selection of Ice Cream or Sorbet, served with fresh berries. Celebrate Labor Day weekend by heading to Glen Prairie (1250 Roosevelt Rd., Glen Ellyn) for chef Daniel Ovanin's weekend specials, featuring fresh produce from KAP Farms in Troy, Ill., and Wolf Farms in Eau Claire, Mich., available after 5 p.m. September 4 and 5 in addition to the restaurant's regular menu. Begin with the appetizer, Trio of Dietzler Farms Beef Sliders, Laack Bros. 2 year aged cheddar and Nueske's bacon, Mindoro Bleu Cheese, KAP Farms caramelized onion, Stickney Hill Farms goat cheese and roasted pepper ($8). The entree special includes Maple Leaf Farms Duck Leg Confit, white bean cassoulet, Raisin River smoked andouille sausage and Michigan maple gastrique ($22). For dessert, indulge in Glen Prairie's Michigan Apple Crisp, Wolf Farms apple and brown sugar crust ($6). Reservations are recommended, and can be made by calling Glen Prairie at (630) 613-1250. Reservations are recommended and can be made by calling (847) 427-4242. 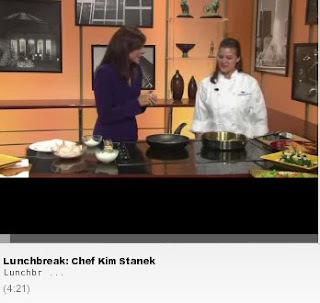 Kim Stanek, executive sous chef of the Westin Chicago North Shore, made her national television debut yesterday on WGN's Midday "Lunchbreak" segment. With the help of anchor Dina Bair, Chef Stanek did a quick demo of the Westin's Chicken Masala Entree and Vegetable Samosas Appetizer. Both dishes are from the hotel's South Asian menu, however the hotel also specializes in kosher cuisine (with two state-of-the-art kosher kitchens) as well as American cuisine. The hotel also boasts the largest ballroom on Chicago's North Shore, which makes it a popular locale for large South Asian events. To catch the full segment, press here. The Westin Chicago North Shore is located at 601 N. Milwaukee Ave. in Wheeling, Ill. To speak with the catering department to see how they can help you with your next event, call (847) 777-6500 or visit www.westin.com/ChicagoNorthShore.